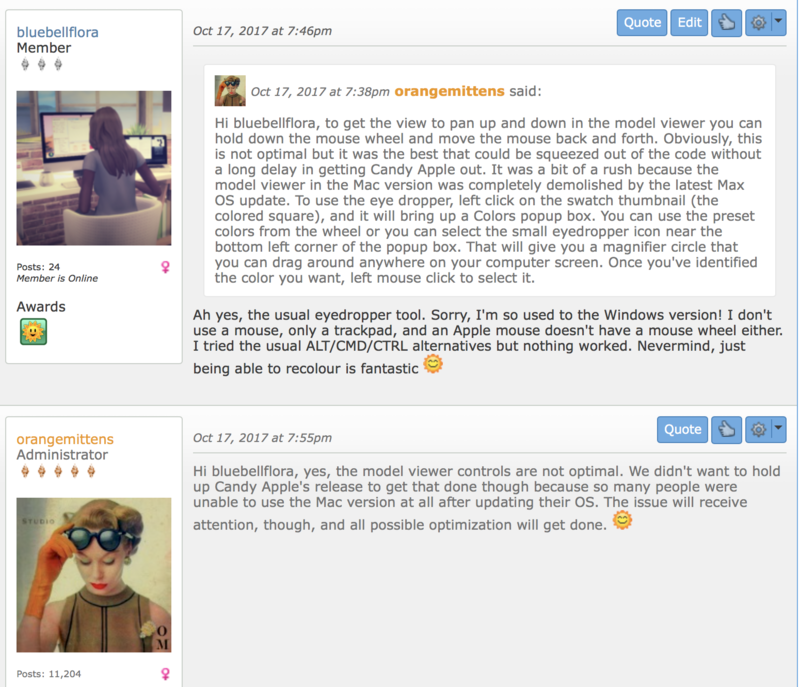 Sims 4 Studio – great tool, shame about the arrogant attitude on their forums. 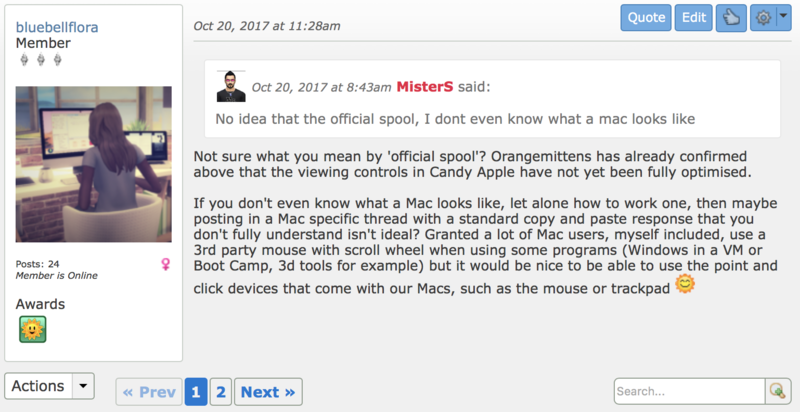 So a couple of weeks ago I dared to call out a moderator’s ridiculous response on a thread about the new Sims 4 Studio for Mac, Candy Apple. 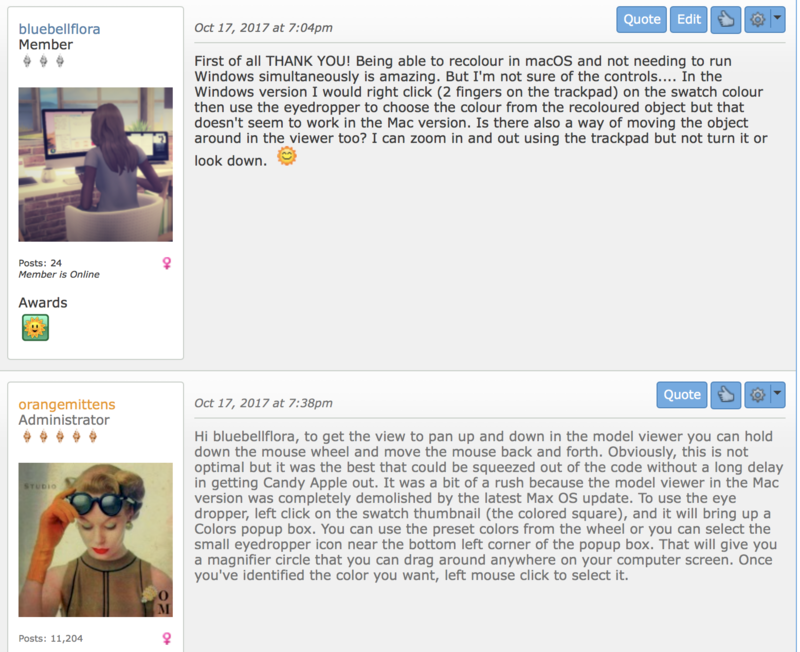 I love Sims 4 Studio for two reasons – the opportunity to now be able to recolour objects in the Mac version, and their overall support for Mac users because let’s face it, no one else really bothers to support 3rd party Mac stuff for Sims 4 do they? I’ve read on other sites and social media that they can be an arrogant bunch at Sims 4 Studio but I always like to take people as I find them. In this case, sadly, they lived up to the reputation. This is a long post with lots of screenshots, the reasons for which will become apparent further down. The story starts with the release of Sims 4 Studio Candy Apple 1.2 for Mac. Finally we get the ability to recolour objects – yay! I happily delved in and played around with it. After a couple of minutes it became apparent that it was extremely buggy but that’s ok, it’s in beta, I can live with that. 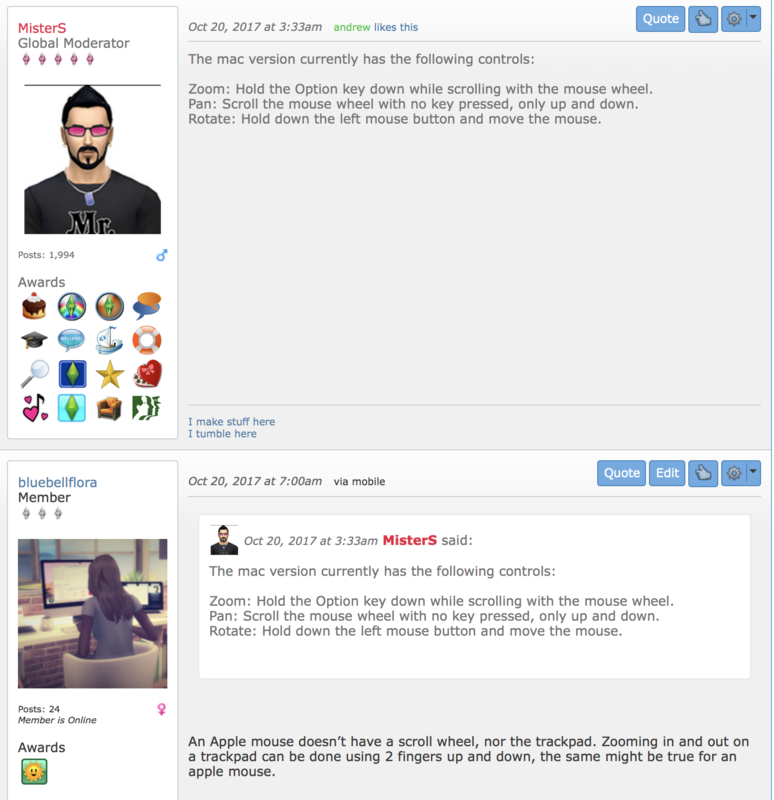 I was struggling with the camera controls in the model viewer so decided to ask on the Sims 4 Studio forums about it (you can read the thread here). 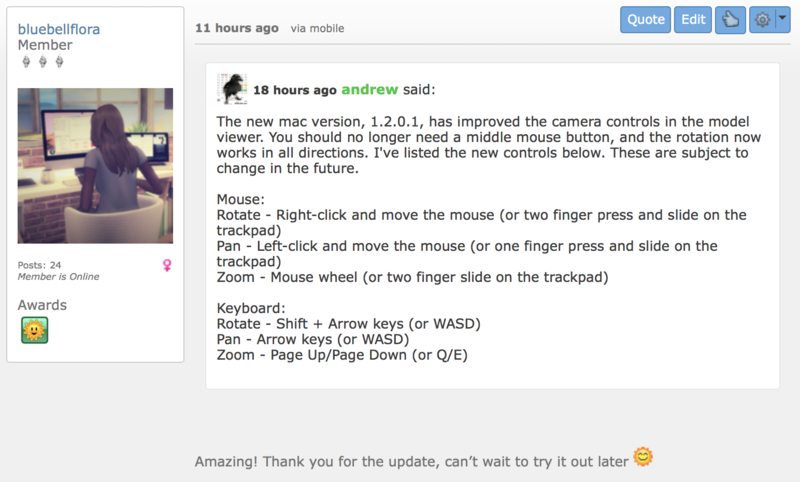 Orangemittens helpfully replied and it was quickly established that the software had not been optimised for an Apple mouse or Trackpad, only a 3rd party mouse with scroll wheel. I then received two messages from orangemittens telling me off because I had been naughty and threatening to ban me, something which, if it hasn’t already happened, most surely will if they read this post. They’re a sensitive little bunch over at Sims 4 Studio aren’t they? Or are they behaving like EA – no one else does what they do, as well as they do it, so they come to think that they are superior to the community and take the slightest offence if anyone dares to criticise them? PS – I’m still none the wiser to what an ‘official spool’ is. Could someone please enlighten me? I did think that maybe he meant ‘official spiel‘? Previous Sims 4 Studio Candy Apple for Mac – object recolours! Such children. Poor babies can’t handle criticism, and are adults? Man, oh man!